Now that I’ve been an adoptive parent for over a decade, I think I have a different perspective. The key for me really is the openness. I’m a strong advocate for our kids knowing their birth heritage and history, and where possible, navigating a relationship with members of the birth family. If I could rewind the clock and create the magic that would allow my kids to be born to me through open embryo donation, here’s what would have been the same as our open adoptions we presently have. My kids would still have the beautiful features and endearing personality characteristics they inherited from their birth parents. No components of mine or my husband’s genetic make-up would be part of the girls. We would still have the wonderful opportunity of learning about the uniqueness of our daughters through time and experience, rather than making assumptions that they would be ‘just like us’. Just as in our open adoptions where we experienced a reversal, turned down referrals and had many years of emotional and financial set-backs, I would be worried about the risks of things not working out and never becoming a parent. I would be worried that the process of becoming pregnant with the embryos wouldn’t work, that the pregnancy itself would present challenges and that in the end, I wouldn’t have a baby. 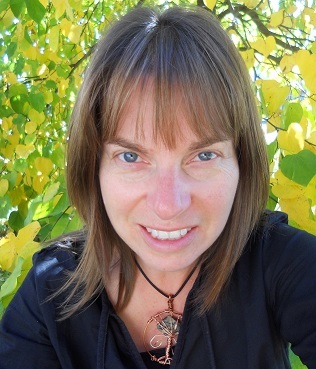 I would have the opportunity to honour and get to know my child’s biological family. By being chosen by the donor or genetic parents to receive embryos based on knowing about us or reading our profile, a connection would be made. Just as in open adoption, they would choose us to be parents of a member of their family and by extension, we would be part of their family. We would be chosen by the donor family, with the hopes that we would do the best job possible to raise these little souls. The icing on the cake would be that we would also have these wonderful people in our family to support and answer questions for our girls as they grow up. I would experience the loss of a biological connection to my child. As with infant and child adoption, I would have to do some soul-searching and perhaps grief work to understand my feelings around raising a child of a different genetic background. With our own adoption journey, this required a bit of time on my part, but once I met our daughters all those concerns disappeared. The trainings, readings and home study sessions that prepared us for adoption really helped keep perspective and allowed me to feel empowered about my choice to be an adoptive parent. Given that the core concept of both open adoption and embryo donation is that we are parenting another family’s child on a permanent basis, many of the ideas we need to get our heads around are similar. 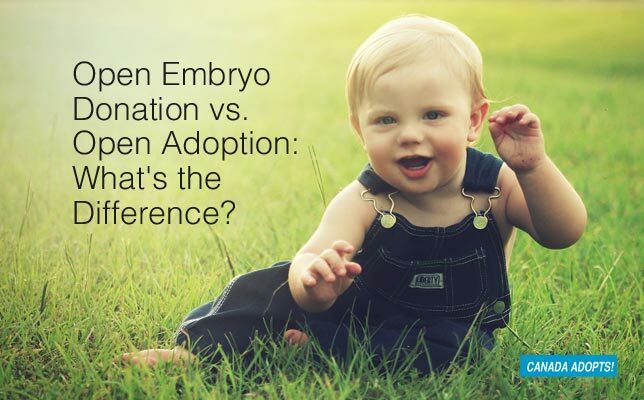 However, there are a few unique aspects that make open embryo donation different than open adoption. I would have the experience of pregnancy and be involved with prenatal decision-making. To me, this would have been the biggest benefit. I would be in control of the prenatal health of the child and could ensure safe choices throughout the pregnancy. I would have the experience of labour and delivery. I think for many women, there is a desire to experience the physical element of having a child and join the sisterhood of what has occurred naturally for eons. In addition, as adoptive parents, most of us are interested in having our children with us soon following birth so we can enjoy the parenting journey from as close to the beginning of our child’s life as possible. In doing so, we also believe we have the largest influence over our children. With embryo donation, I would have the experience of nursing. When we adopted our youngest daughter, she was 15 months old. In the choice to adopt a toddler instead of an infant, I went through a grief process around bottle-feeding. I loved feeding our older daughter who was three months old when she came to us and saw bottle-feeding as an important part of the attachment process. I know that adoptive moms are able to nurse their adopted infants with some success, and based on my own feelings about this positive interaction between parent and child, I think I would have liked the experience to nurse my children. Given that hindsight is 20/20, would I have chosen open embryo donation had it been an option in Canada over 10 years ago? I’m not sure, but my mind is certainly open to the idea now.